Potentially all proteins can aggregate into insoluble fibrils. Protein aggregates are functional in several contexts, but they are also associated to pathogenesis in a number of devastating conditions, such as Parkinson’s disease or Amyotrophic Lateral Sclerosis. The concept of protein aggregation has mainly been associated to the formation of insoluble amyloid fibrils, but we now have evidence of the existence of other types of protein assemblies. 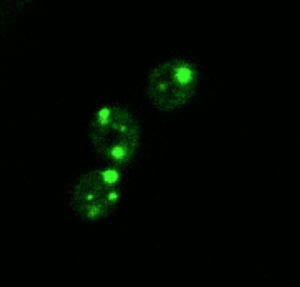 Dynamic reversible assemblies, for example, are formed by proteins containing prion-like domains through a process of liquid de-mixing in the cytoplasm. Prion-like domains are low complexity domains which resemble in composition the infectious yeast prions, i.e. they are enriched in asparagine, glutamine, tyrosine and glycine. Typically, prion-like domains are intrinsically disordered but they have the ability to switch to different, more structured conformations. Mutations in these domains are associated to the onset of many neurodegenerative conditions. 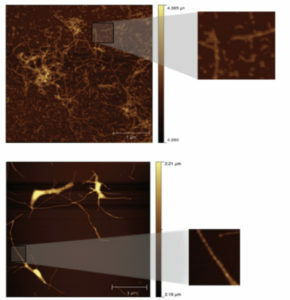 Importantly, prion-like domains are able to populate multiple physical states: diffuse, liquid de-mixed, insoluble amyloid. Pathological mutations affect these equilibria in ways we cannot yet fully understand, or predict. Our lab focuses on understanding how protein sequence determines formation of liquid states versus insoluble aggregates. We have established a systematic approach to elucidate how these alternative states can translate into different phenotypes, and to understand if one particular physical state can be linked to pathology. Finally, we are also interested in the specific mechanisms by which different types of protein assemblies drive pathogenesis. We address these questions by coupling deep mutational scanning to high-resolution biophysics. 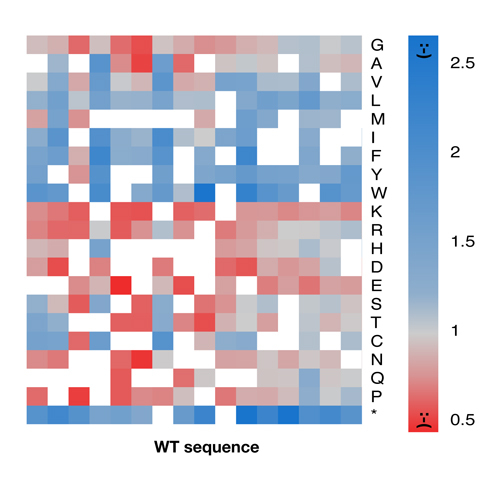 We use a S. cerevisiae model to simultaneously evaluate the fitness effect of thousands of mutations within disordered protein domains implicated in disease and generate a genotype-to-phenotype map for each of them. We then use a similar high-throughput strategy to measure the effect of the same set of mutations on the physical state of the proteins ( diffuse, liquid de-mixed, insoluble). This systematic approach allows us to choose mutations with specific effects on fitness and physical state for further characterization by in vitro biophysics in order to formulate more rational hypothesis on the mechanisms involved in protein-induced toxicity. The start of the autumn semester finds a new face in IBEC’s research community, with Dr. Benedetta Bolognesi joining the institute as junior group leader.